I've been a little MIA lately and I've taken to crocheting. I was a little ambitious with my first project and wound up pulling all of the stitches out and starting over LOL. 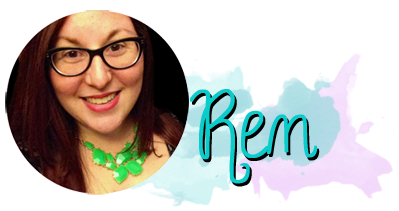 I tried several patterns from blogs and I just didn't get it. Here was my first completed project and it looks like a train wreck! It belongs on nailed it...for real. 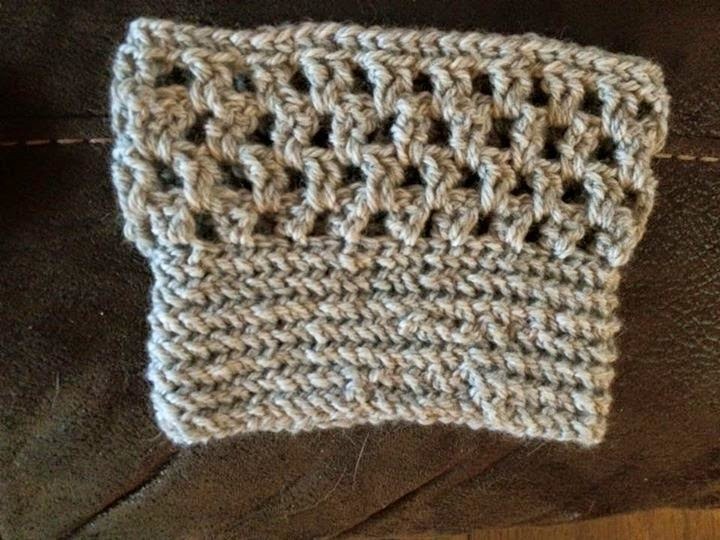 I used the pattern from Loops of Lavendar http://loopsoflavender.blogspot.com/2012/12/bow-boot-cuffs.html. If you look at hers and mine, you'll see how crappy it is. But that's okay! Baby steps, right? I figured out what my problem was...I was making my stitches too tight. I would pull and tighten after each stitch which is a big no-no. Instead of throwing in the towel, I decided to try some easy stuff and perfect my stitches. 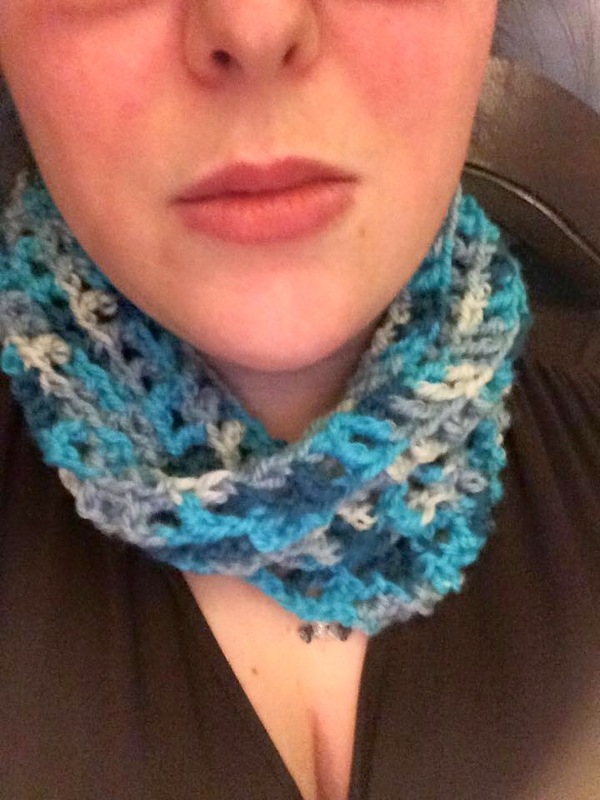 I completed my first infiniti scarf for a friend and it came out okay! Not perfect, but getting there. My chain stitch was still too tight but I'm figuring out the kinks. This is the yarn that I pulled out at least 5 times before I decided to make these ear warmers. Not perfect, but functional. (I secretly hate it) I have to work on my slip stitch and going up a row. Confusing stuff! But video tutorials are a blessing! At this point my confidence is getting stronger with each project. 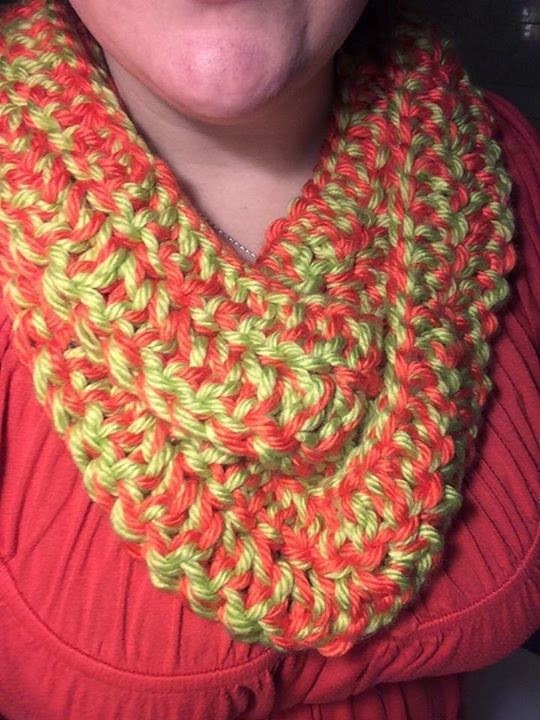 I made this light scarf with the left over yarn and I think it's pretty cute. Again, not perfect and not very functional for super cold weather but I loved the colors. 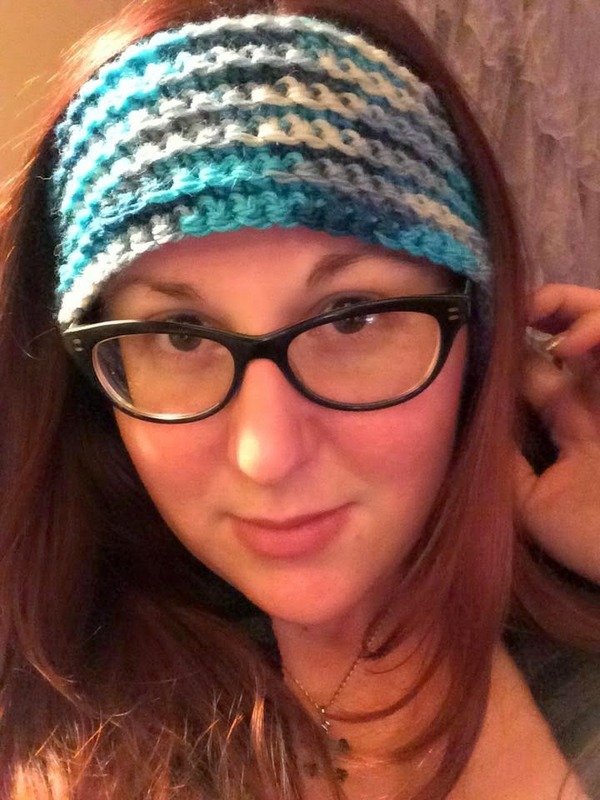 I found this really awesome pattern from The Worsted Crochet Blog. 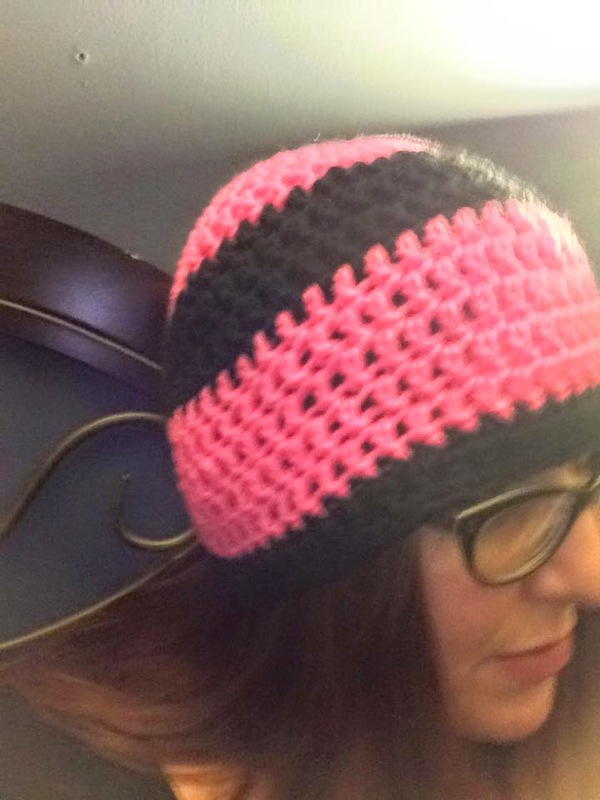 Luke wanted ear warmers and I think the regular pattern I used is a little girly for a boy. 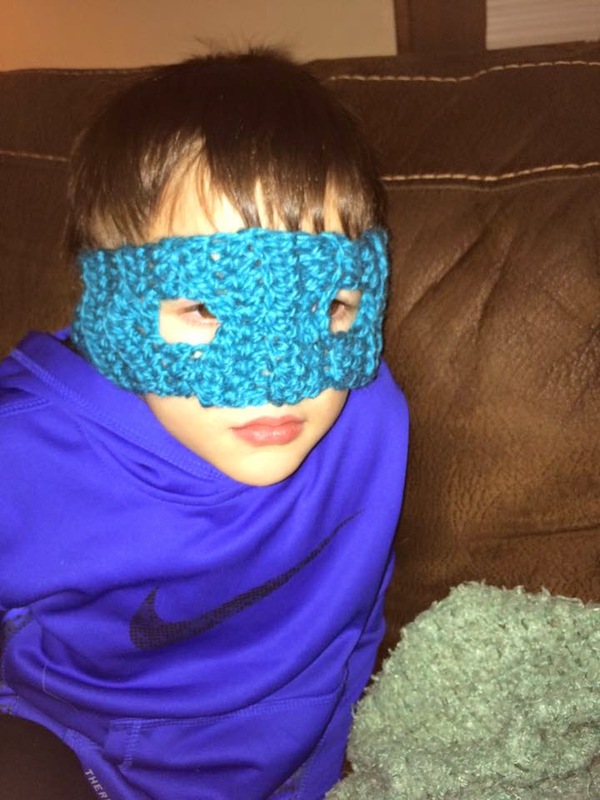 He picked out this really cool yarn and I made this super her mask/ear warmer. 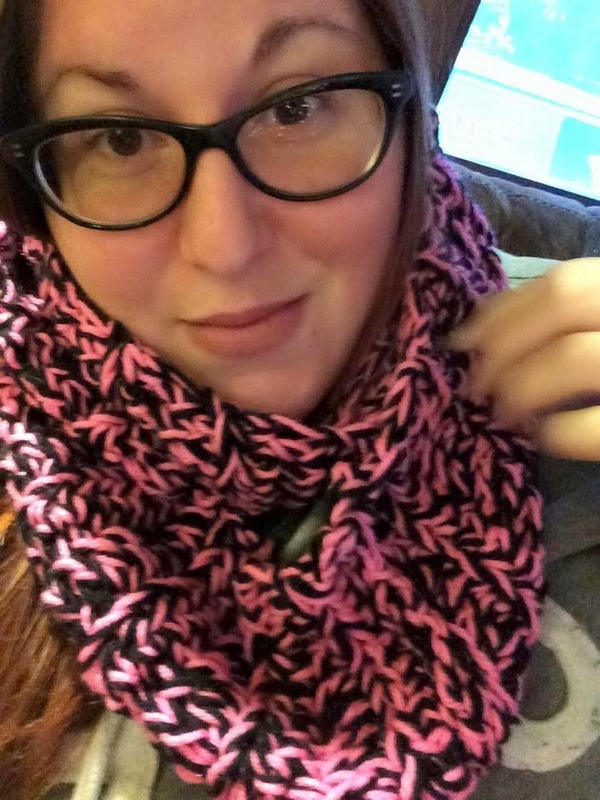 I've made several scarves now and this one for my bestie. I've been making my own patterns along the way just to get used to it. Finally I finished a project that I can use! 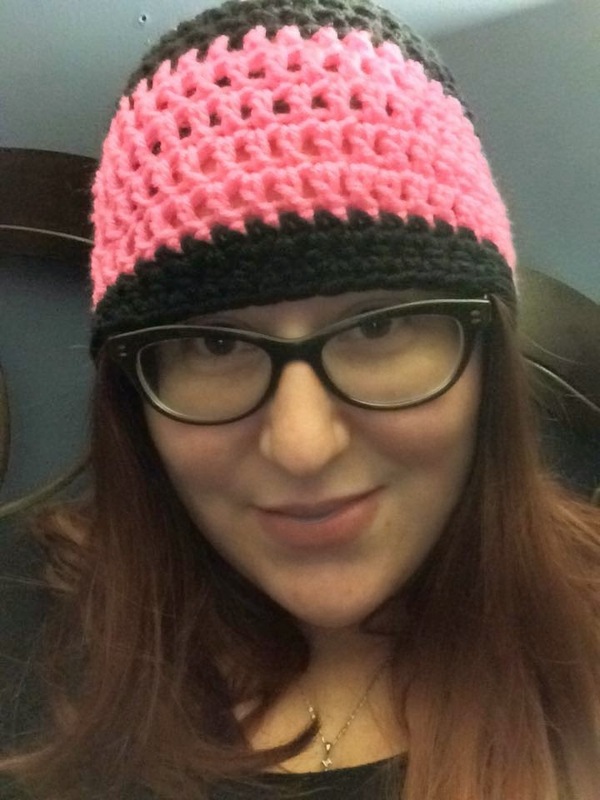 I made this awesome beanie thanks to iheartstitching's super easy tutorial on YouTube https://www.youtube.com/watch?v=Oi__ixbNPhg&feature=youtu.be. 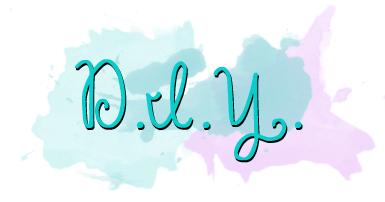 I modified it slightly by switching colors and adding a stitch at the end. I'm so stoked!